I just got to try him out and this is laughable. Honestly did you even test this before rolling it out? You basically just made him the worst bot in the game. He has no advantage at all anymore and at 50% can't keep up. Say you get taken from 60-25% from a special, his healing isn't going to catch back up. You wouldn't take away BCs bleed at the start of the fight so why do this??? No power gain and a measly chance to due pitiful shock damage? Why not just come out and say you want people to spend money and energon to heal in AMs? You basically just screwed over people that put resources into him. Thanks for the quick replies @Kabam Miike . I can see Kabam's need to "balance" bots but really, in Transformers, there are stronger and weaker bots where not everyone is equal. While you say it's balancing, the changes to Ratchet appear more to be to increase spending for heals/revives in AM. I assume Kabam saw that Ratchet use in AMs was too wide spread and reduced the need for heals/revives significantly. That may or may not have been Kabam's reasoning but just saying that's how it looks. I understand the game needs to make money, this is still a business but there must be other avenues to explore. Would it not be a better model for "balancing bots" to just increase the ratings/attacks/specials of other weaker bots instead of reducing a single bot? That way, players who have poured time and resources into a bot they like won't feel jacked like how they are with Ratchet now. If you don't take away something and only add to others to fix the "balance" problem, I would think players almost have nothing to complain about when changes happen to bots. Bring up bots, not tear them down. I've been playing since last December. I know Ratchet has been nerfed severely as he used to heal a lot more in the beginning. Even Optimus would heal 10% on his heavies through synergies. I'm pretty sad as I poured all my resources into Ratchet and he used to be my best bot. I've tried him out in raids today. Basically it's no point using his heavies till he is under 50% health. About special 2 healing, it takes a longer time to get to sp2 as he does not get power gain from his heavies anymore. So in the past Ratchet would reach the end of the raids of a 7000+ rated base with some health to spare, not he dies by 2 fights. His damage output is too low. Also in AM I've timed out before and even if Ratchet is full health it counts as a loss. And how about the attack penalty while diagnostic was procced? Was that ever even mentioned before now? 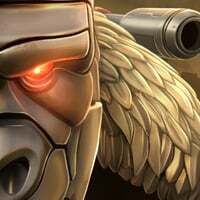 Sounds awfully convenient to tell us about a buff to a silent debuff we knew nothing about while you're nerfing what's probably the most commonly used bot in AM. So what is the counter to Rhinox shock now in high levels of AM? Spend more money? 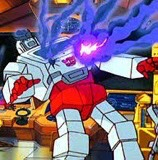 Ratchet was the only counter to the unmitigated damage dealt in certain situations. Now he'll only be useful when under half health where he'll be easily KO'd by one slip up. And you say he's not ideal in high levels of AM, but he was very useful before you nerfed him. And it's not as if he was god-like, he still required a good amount of skill to keep his health up and still do a good amount of damage so as not to timeout. Sounds like a typical Kabam money grab. Thanks for the info. Unfortunately, those of us that played your other game, MCOC see this for what it truly is. You guys did the same thing to SW. People used her a lot because of the regen ability. It was a means for us to not spend on healing potions in Alliance Quests, thus you guys lost money. So what did you do? Nerfed her. Those of us that spent time and money to max her out weren't really compensated except by rank down tickets. You guys realized that we don't have to spend as much money on heals by maxing out Ratchet and now you are going to nerf him. Real cool. Honestly, I quit spending money on MCOC when you nerfed her. Prior to it, I was spending plenty because I was enjoying the game. Same thing just happened with Forged to Fight. Congratulations on changing one of the aspects that made the game enjoyable. I don't foresee investing much more on this game anymore either. I'm sure that I'm not the only one that feels this way. This ratchet nerf is absolutely uncalled for. He has literally no use now for his only power was his power gain and heal (and let's be honest 3* 4/40 forge 100 Ratchet healed for just 22hp per sec over 10 sec after heavy and that's not much at all considering his low health and crazy low damage). He was a bot that required skill to play to take advantage of his abilities. Lot of my alliance members disliked him for his low dam and that was before this nerf! Now he is the worst bot in the game for he has nothing to stand against any other bot. The nerf to his healing (still unnecessary) should bring other abilities/stat changes to balance him in regards to other bots. As I mentioned in my now deleted comment... This nerf feels like a cash grab and is exactly why I stopped playing MCoC in the first place. If this game is going to try and make all it's money by forcing pot use to compete, I'm done here too. Take that feedback as you will. This is totally absurd. There was so much you can do to balance him. Keep power gain and allow the ability to s2. Make it a % of lost health. Attack buff. More shock damage. More stun. Anything. But this is horrible. Why not just remove him and refund the resources? Not too happy either with this nerf to ratchet either, if his skill to stay active in fights gets cut then boost his other skills, increase the healing time and amount to self diagnostics, increase the chances for emergency repair to proc and lower the 120% damage it takes to activate, also increase his healing synergy to ironhide and bumblebee, 3% at the beginning of a fight that lasts only one second, is pointless. Making his skills stronger will balance out this 50% HP bull, he's the only bot in the game that has these healing skills, so let us use him to help benefit our other bots when he's in the team, make his healing stronger, or just delete him from the game, he's just four star food now. There appears to be something that I missed with the changes to Ratchet. Ratchet no longer has an Attack penalty while under Self-Diagnostics. So he should be able to do more damage now, even while healing. No self diagnostics, no power gain... BUT WAIT!! The debuff that affected nothing in the fight will no longer trigger, because the ability that triggered it no longer triggers anyway! Useless in every game mode now except away missions. Enjoy! Revives on sale in store! Nope... Still no single bot ones, sorry. If you can remove the failed to load penalty in alliance mission then why not do it everywhere else? The game also fails to load in raids and story, why should anyone lose 25% hp in other modes? Where is something about harm accelerator? Where is something about baiting specials? Where is something about timers being too short for high level (bots/difficulty) play in alliance missions (partly due to special baiting, partly due to HP and playing to avoid taking damage) and raids (due to instability). Ratchets change seems odd, I don't use him, because I don't like how weak his attack is, but he should still have abilities while above 50% hp, it makes no sense. 50% HP is too much of a gamble and a bad play style to encourage and really seems like an unimaginative 'fix' and rather obvious attempt to force item use. Without the heal and power gain he needs an attack buff to be viable, or give him shields or something. If you don't know how to balance healing then give him something different entirely. The current version is pointless. I would be concerned about whoever is the next "Ratchet", invest in that bot and then have the same thing happen. 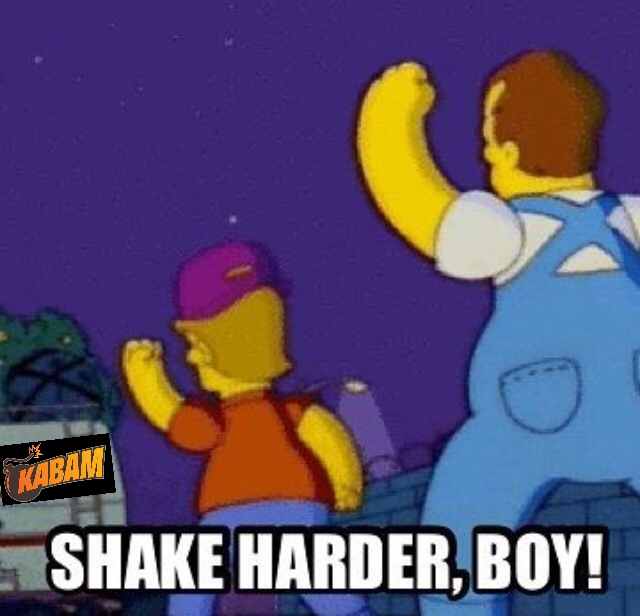 Everyone's trying to build a strong team piece by piece and Kabam just chopped one down today. Ratchet is still going to be super capable and very usable, but just won't be healing like crazy right at the beginning of a fight, and will still have his health regeneration on his Sp2, as we want to keep that a viable option for players that want to heal early and often. I have to disagree with this statement though. SP2 has a much reduced impact on healing as you get more health. Using it early and often really doesn't give much gains. Add in the fact the power gain will not be present, how many times will you really be able to do that? SP2 hits light too so you need to save up for SP3. This change basically makes so you can never have full health ever again once a fight/AM has started just using his healing. Ratchet is honestley not even worth using anymore. Questions? We've got answers! Ask away! I'm pretty frustrated by these announced nerfs to be honest. Just when I finally get alphas and upgrade my AM team, you take the nerf hammer to 2/3 of my team...and you do it while an event is still up too. You have functionally upped the difficulty of the event rather arbitrarily without any compensation or additional reward. 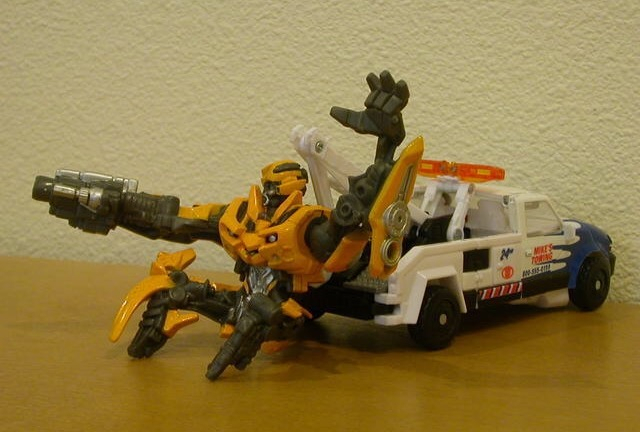 I think the nerf to ratchet is too severe and is uncalled for. He's a light hitter, but the heal made up for it. Now, he's still a light hitter, but starts healing only when his hp is low enough that any higher ranked opponent can one shot him...not cool. Will there be new characters coming, like Aerialbots, Stunticons and so on? C'mon, the problem with bots holding specials was promised to be fixed in the previous update but not even mentioned in this one. I find the game runs a lot faster, mainly because all the "loading" screens are shorter now. I'm getting more lags and freezes since the update. That seems fairly common for a day or two after any update, but maddening when doing a hard fight, game freezes for a couple sec, then KO without having a chance to act. I hate being cheated like that and refuse to buy revives and heals when its game issues and not me just sucking. I just forged all my 2* bots to Ratchet, many thanks for make him useless. The 4* star arena used to be easy after 15 wins, but today I faced super hard bots in my 16th fight, then it become easy in the 17th - 20th fight, but in the 21st fight I lost against bots are stronger than mine by 4 times, 600 useless Ratchet against angry 2200 Motormaster!!! I forged 15 2* bots in my 4/4 Ratchet, it cost my over 300k gold, +50 crystal & god knows how many ore & sparks to re-build my 2* bots. If I know he will lose his only ability, did I put all my 2* & alpha spark in him? 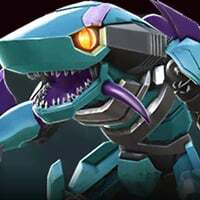 If you are looking for balance, then remove the bleeding from Boncrasher, unstoppable from Motormaster & roll out from Optimus.